So you want to learn how you can fight foreclosure back right? If you find yourself faced with foreclosure, it’s imperative to know your options for fighting back. In this guide, we’ll provide you with a variety of ways to prevent foreclosure. As a result, you’ll feel better about your ability to save your home. We understand that foreclosure is a big deal. We also understand that this is something you can avoid with the right approach. Reading through the following tips will give you a clear overview of the foreclosure process, how it will impact you, and which steps you should be taking. Got a Foreclosure Notice: What Now? In short, foreclosure is nothing more than the process through which a bank repossesses a home as the result of non-payment. This doesn’t mean that one missed payment will lead to foreclosure, but after several months, typically three, the bank will send a notice of their intentions. The way you respond to a notice of foreclosure will determine what happens next. Now that you understand the reason for foreclosure – non-payment of your mortgage – it’s important to comprehend why this typically happens. Divorce: If you decide to move forward with a divorce, you may begin to put your bills on the backburner. As a result, foreclosure could be the end result. Job loss: When you are no longer employed and earning regular income, it can be a challenge to stay current with your mortgage payments. Medical issue, such as a serious illness. Not only can an illness lead to large medical bills, but this can also keep you away from your job for an extended period. Unexpected maintenance: Home maintenance can be costly. If you run into various unexpected expenses at the same time, it could take a toll on your finances. Death: Many people can pay for their home when they have two people earning income and contributing. However, if one spouse dies, this can all change. While these are not the only reasons why foreclosure happens, they are among the most common. I Just Got a Foreclosure Notice: What Now? If you receive a foreclosure notice by mail, it’s safe to assume that you’ll be concerned about the future. Rather than run and hide, hoping that the situation fixes itself, you need to take a few key steps. Read the foreclosure notice to ensure that you understand every last detail. Contact your lender to learn more about your situation, including how much money you owe. Make a list of the ways to stop foreclosure. Along with this, a refinance could be the right approach for somebody in your situation. If you’re okay with moving, consider selling your home before you lose it to the bank. In the event that you owe more than what your home is worth, ask your lender for more information on a short sale. One of the most important decisions associated with divorce is whether or not you stay in your home or put it on the market. You don’t have to turn your life upside down. You can remain in the home you’re accustomed to. You may not have the financial means to make payments in the future, even if you’re able to avoid foreclosure. If you wait too long, you risk losing your home before you’re able to sell it. The monthly mortgage payment could continue to strain your finances. Many people are unaware of the fact that the foreclosure process varies from state to state. For this reason, the defense strategy used in one state may not be the same as the next. With this kind of foreclosure, the lender is required to go to court to start the process. For this reason, it typically takes longer for the process to reach its conclusion. if you live in a non-judicial state, your lender is not required by law to go through the court to foreclose on your home. Subsequently, the process can proceed more quickly. You will have a much easier time stopping (or at least delaying) foreclosure if you talk to your lender rather than adopting a code of silence. By not responding to their notices and calls, you will let your bank assume that you don’t want to avoid foreclosure. You should try to communicate with your lender directly rather than their attorney or trustee. If you want to know how you can work together with your lender, click here for more details. 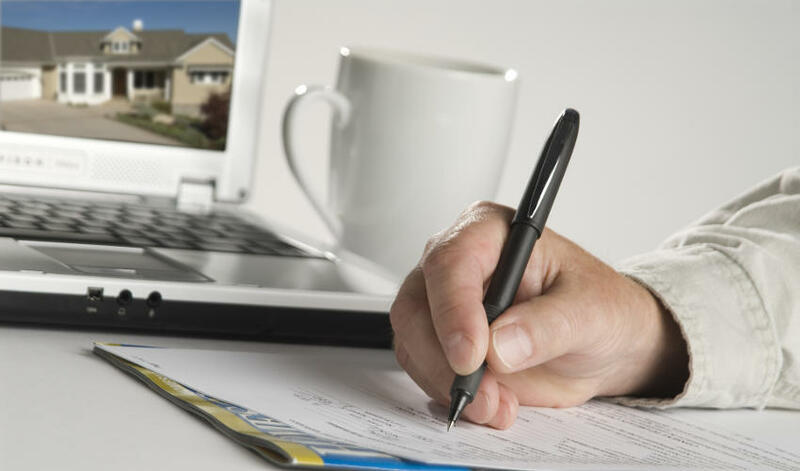 By modifying your loan, you can permanently restructure one or more terms of your mortgage. You can have the interest rate reduced, amortization period (the length of the duration of the loan) extended, and a variable interest rate converted to a fixed interest rate. It will reduce your monthly payments. Loan modification is an excellent way to save your credit rating that might be severely damaged by other foreclosure alternatives like bankruptcy or a short sale. In some circumstances, your lender may agree to reduce even mortgage principal amount, particularly if your home has lost equity due to deceasing home values in your area. A waived-off portion of the principal mortgage is called a ‘deferred junior mortgage.' While it’s waved off by your lender, you will have to pay it if you decide to sell your home when it increases in value. While loan modification refers to restructuring the terms of your existing loan, loan refinancing is to take out a new loan with a lower interest rate and a longer amortization period. In order to take out a new loan, you will need a good credit score (so make sure you benefit from this option before missing any installment). You will also need to pay closing costs like fee and processing charges for your new loan. If you are unable to make monthly payments due to exceptional circumstances like loss of job or illness, you can get your lender to temporarily suspend a few installments. You can also work out a repayment plan by arranging to make up missed pay­ments over time and stay current on your ongoing payments. You can also take advantage of loan reinstatement where you bring the delinquent loan current in one payment. You need to catch up on payments in default, as well as past-due fees, costs, and penalties, incurred as a result of the default. The Department of Housing and Urban Development (HUD) sponsors counseling agencies to provide troubled homeowners advice on foreclosures. You can talk to an approved housing counselor to understand the foreclosure process and what steps you should take depending on your individual situation. You can search for a foreclosure avoidance counselor on the HUD’s website. A foreclosure can take many twists and turns. You may have to change your strategy depending on the changing circumstances during the foreclosure process or the results of the negotiations with your mortgage lender. You should hire an attorney specializing in foreclosure cases at the earliest possible. Most homeowners assume that they should hire an attorney only if the case leads to a lawsuit, but the truth is a lawyer can help you prepare a strategy from the very beginning. If the foreclosure process is judicial in your state, your lender will file a foreclosure lawsuit against you in a court. You will need to submit a written response to the foreclosure complaint filed by the lender within a particular period of time (it depends on state specific laws). You can file a motion demanding more time to respond or request a dismissal of the complaint among many other options. Most homeowners don’t even know who their lender is. It’s not surprising because in some cases, banks sell their loans to other financial institutions or investors. You can find the chain of title and important details related to your mortgage with the help of online tools like Mortgage Electronic Registration System. You should use Fannie Mae Loan Lookup tool to find out if Fannie Mae owns your mortgage. If it does, you can refinance or modify your loan under the Home Affordable Refinance Program (HARP) or the Home Affordable Modification Program (HAMP). The promissory note is a set of documents, detailing all the terms of the loan. It includes the agreement that you signed at the time of the loan’s approval. After being served with a notice of default, you need to get that note from your lender. You may want that your lender doesn’t even have it because they sold the loan to other financial institution. The failure in producing the note can buy you a lot of time for preparing your strategy to fight foreclosure or in extreme cases even stop foreclosure. Home Affordable Foreclosure Alternatives Program (HAFA) is a government initiative to help homeowners get the property off their hand through a short sale or a deed-in-lieu of foreclosure (DIL). This program may be specifically beneficial to homeowners whose homes have negative equity. Your lender won’t be able to get a deficiency judgment against you if you complete a short sale or DIL under this program. A deed in lieu of foreclosure enables you to transfer your interest in the property to your lender for failing to pay the mortgage. It can help you avoid foreclosure. You will need to prepare a financial hardship letter, explaining your current financial situation. As mentioned earlier, you can complete deed in lieu of foreclosure through HAFA or work out a plan with your lender independently. While a deed in lieu of foreclosure means conveying your interest in the property to the lender, a short sale occurs when you find a buyer and sale it to him before foreclosure. You need to get prior consent from your lender who should agree to settle the lone for “less than agreed”. Again, you can short sale either through HAFA or work out a deal with your lender independently. Check with your state regulations to know if there is a medication program you can benefit from. If there is, a third-party mediator appointed under the program will work out an agreement between you and your lender to find a way to avoid foreclosure. Your bank is bound to comply with agreements reached during the meditation. If they don’t, it can prevent them from foreclosing upon your home. You can stop foreclosure by leasing your home to a tenant with an ‘option to purchase’. A lease option is a contract between you and the tenant or buyer. It gives the tenant the option to purchase the property for an agreed price with a given period of time. It is very similar to renting, but with an option to buy the home in the future. You can file a bankruptcy application in a court if you don’t want to lose your home through short sale or deed in lieu. Most bankruptcies are filed under Chapter 7 and Chapter 13. You should consult with a lawyer to determine whether you should file under Chapter 7 or Chapter 13. In case you can’t repay your loan due to a complete lack of disposable income, you should opt for Chapter 7 bankruptcy. Chapter 13 bankruptcy is a better option if you can pay back at least a portion of your debts through a repayment plan. One of the biggest scandals that stormed the mortgage industry following the 2007-08 housing crisis was robo signing. Banks had so many cases to cope with that foreclosure documents were signed without any review, leading to embarrassing mistakes in foreclosure complaints filed in courts. You should make sure you are not a victim of this phenomenon. Believe it or not, it still happens. Make sure all the details on the documents submitted to the court by your lender are free from factual errors. If there are errors, you certainly get an edge in the case. You can avoid foreclosure if there are glaring errors in the foreclosure proceedings. For example, your bank needs to notify you a certain number of days in advance before initiating foreclosure. There is a proper format for these notices, and it’s necessary that you lender complies with the format requirements. If you are entitled to a loan modification, your lender can’t foreclosure before giving you the opportunity to exercise this option. Your lender might have packaged and securitized your loan (sell it to other financial institution). Your bank can’t foreclosure if it doesn’t have the promissory note as a result of selling and reselling your loan. The Home Affordable Refinance Program (or HARP) allows homeowners to refinance their homes even if they have no equity in it. The low interest rates and new terms make payments more affordable. You generally don’t need an appraisal, and it allows you to build equity more quickly. With the Home Affordable Modification Program, homeowners can reduce their monthly mortgage payments by extending the loan terms or reducing the interest rate. Any past-due amounts may be added to the principal to enable you to be deemed current on your new loan. You may be able to reduce the amount of principal owed on your mortgage through the Principal Reduction Alternative. This option works if you owe more than what the home is worth. It is part of the HAMP program, and it permanently forgives part of the amount you owe. The result is lower monthly payments that make the home more affordable. Borrowers can use the Second Lien Modification Program to help with second mortgages or home equity loans. Depending on your particular situation, you may be able to lower your monthly payments on the second mortgage or even eliminate part of what you owe. It works in conjunction with HAMP, and you must meet the same criteria to qualify along with having a first mortgage modified through HAMP. The Emergency Homeowners’ Loan Program was designed to help people who have lost their jobs or suffered from underemployment, causing them to fall behind on their mortgage payments. Homeowners who are facing foreclosure may qualify for this program. Through this program, homeowners may have part of their mortgage payments paid for up to 24 months. It also covers past due payments. With this option, the VA will buy back your loan if you qualify. You will then work directly with the VA to help you afford your mortgage so you can stay in the home. Expect to explain your situation to the person you talk to and let them know how things will improve. Some states offer a moratorium law for homeowners who have been affected by a natural disaster. Each state sets up details for its own program, but the home must have been damaged by the catastrophe. The relief is only temporary, and the foreclosure process will continue after the time expires. The law only covers certain types of loans. With a reverse mortgage, you can use the equity you have in your home and get cash. You don’t need to make a payment as long as you continue to live in the house. However, the loan has to be repaid if you sell the house or move. You will need to have a significant amount of equity in the property, and you may still have to pay insurance, taxes, and other costs. Sometimes there are no right answers for a foreclosure, so it’s better just to walk away. Before you do, you’ll want to make sure the lender cannot sue for the remainder of the loan after the bank sells the house. If you have a second mortgage, this option may not work for you either. Instead of going through foreclosure, you may be able to deed the property to the lender. The technical term is “deed in lieu of foreclosure” and it means you won’t have a foreclosure on your record. Just make sure the lender agrees not to pursue any other remedies afterward. If you don’t qualify for any government programs, you can still attempt to work with your lender. In fact, you may want to work with a HUD counselor and explain your situation. They can negotiate with the lender and attempt to gain more favorable terms. If the paperwork was not precise or the procedures were not followed correctly, you may have success by challenging the foreclosure in court. First, try negotiating with the lender before you go this route. It’s a last resort if no other option exists. If you’ve fallen behind on your mortgage payments but now are able to make the regular payment, you may qualify for a repayment plan. With a repayment plan, your past due amount is divided up over several months until you are current. This option works best if your situation was only temporary and has now been fixed. You can sue your lender in a class action lawsuit, but keep in mind you only stop the foreclosure if you win. It’s one of the least effective ways to keep your house, but it can work if you meet specific requirements. You may be able to sue the lender in court, but don’t expect to have your loan forgiven if you win. At most, you can expect a loan modification. You should realize it will take hours of research and may be extremely costly. Before deciding to go this route, make sure you have a case. It’s a good idea to meet with an attorney and go over your options with a free consultation. If you are facing foreclosure with no way out, you need to start saving money. You will need extra money to find a new place to live. Since many landlords check credit history before approving a rent application, you may have a harder time finding a place. You can counteract the negative information by offering to pay several months of rent up front. At some point, you will have exhausted all of your options and foreclosure will be imminent. In this case, you need to begin preparing for your next step. Make sure you have a place to live and a way to move everything out before you are evicted. Consider renting a storage unit and begin moving out extra furniture rather than waiting until the last minute. Talk to housing counselors and other experts about the foreclosure process. Make sure you understand what happens before, during, and after the house is foreclosed upon. In some situations, it’s not the end of the story. You may be on the hook for any money owed after the home is sold. A foreclosure is not a pleasant situation to be in, but you can make the process go smoother or even stop it altogether if you are aware of all your options. Don’t be afraid to ask for help and get the assistance you need. Your home is likely to be the biggest investment you ever make. For this reason, you may want to fight against foreclosure, doing whatever you can to keep your property. Conversely, if you realize that it’s time to move on, there is hope for you in another property. Even with past financial troubles, you can still purchase another home in the future. Your assumption that the law is not on your side or your lender wants to steal your home is completely wrong. Most banks are reluctant to incur the costs of a foreclosure. If you don’t want to lose your home, you have many options. Make sure to explore each one of them. Nine times out of ten, you will be able to avoid foreclosure.